In the highly-underrated 1994 comedy, The Ref, an unlucky cat burglar takes a bickering couple hostage and must endure their sniping, along with other annoying relatives, as they attempt to salvage a tension-filled Christmas Eve. After hearing one too many insults from the elderly matriarch, Denis Leary finally explodes with a barb of his own: "I know loan sharks more forgiving than you! Your husband ain't dead Lady, he's HIDING." The above scene might be fictional, but hostility peaking during the holidays has become a troubling modern tradition. Christmas trees, Kwanzaa candles and home cooking aren't always enough to lighten the mood, and music has to create a bridge. 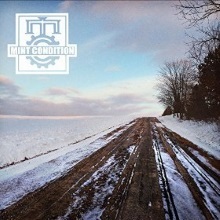 That is exactly is what R&B band Mint Condition is offering on their 9th studio CD and first-ever yuletide release, Healing Season. It probably would have been easy for the esteemed St. Paul, Minnesota quintet to pull a total 'sing-and-play-by-numbers' act, assembling the most beloved hymns and recycling them with a few splashes of their 'mint gumbo' and little more, but three years passing between ....Season and their competent 2012 effort, Music At The Speed of Life, broadened perspectives and enhanced their creativity, resulting in an even split of classics and originals that encapsulate the optimism, and the anguish, that 'the most wonder time of year' often represents. The enthusiasm and novelty of the arrangements are what fuel the collection, starting with the plucky and percussive send-up of James Brown's "Santa Claus Go Straight To The Ghetto" and nimble, yet stirring take on Stevie Wonder's "Someday At Christmas" that echoes the fervent hope of every new generation of "no hungry children, no empty hands/One happy moment people will share, a world where people care." In addition to the step-worthy version of "Have Yourself A Merry Little Christmas" and a fiery, funk-injected "Little Drummer Boy" (anyone who remains immobile while hearing it needs a well-check), another Season standout is "A Child Is Born," the closest Mint Condition has ever come to recording a gospel hymn. The sprawling number languidly unfolds, incrementally ramps up the cadence and slowly expels the exuberance beneath the soothing, steady rhythm of a conga beat. Love and its varying stages are captured within Healing's newer songs, which showcase the intensity that the holiday can bring: "1st Snowfall” captures the fragile delight of committing to that special someone and finding novelty in the once-mundane turn of the seasons, while "1 Brand Name" is a mid-tempo ditty about a woman who would trade the bling and the baubles on which her man is focused for simpler days and times. The other tracks are reminders, one way or another, of how angst, evil and abusive is no respecter of persons or the holidays: "Lonely Christmas" has a full-on R&B feel, auto-tuned chorus and all, about a budding romance falling casualty to arguments, jealousy and broken furniture: "You can throw [muted expletive] around, you can tear up the place/I know it sounds kind of wild, but I just wanna see your face." The best of the originals start with the CD's title track: "Healing Season" opens with a solemnly-spoken mantra of one's ability to change and is more universal in scope, imploring those in conflict to start anew and move forward. In the wrong hands, that lofty message becomes saccharine or patronizing, but its aquatic, meditative vibe, softly underscored with sampled affirmations and anchored by a resonating refrain of "let's heal it up, let's patch it up" melds the spiritual essence of a 1970s Earth, Wind & Fire ballad and the quiet intensity of an Impressions-era Curtis Mayfield, resulting in the one of MC's finest recordings to date. Its flip-side, "Not What I Wanted," is just as moody and magnetic but full of resolve to live and let live---literally----rather than to tolerate escalating abusive from a combative ex: "Didn't mean to leave you out there in the dark, didn't mean to send you back to getting dressed in the car/To meet some man that's gonna break your heart, that's not what I wanted. Not at Christmas......"
For too many artists, the release of a holiday CD is more about capitalizing on trends, cashing in or inching that much closer to the end of a crappy recording contract. But one would be remiss to overlook the refreshing appeal of this Mint-y set. Healing Season skillfully combines reverence and modern touches that allow for enjoyment time and again through the holidays and beyond, rewarding Mint Condition's longtime "FOOMS" with an early Christmas gift and demonstrating to industry new jacks how to endure, and evolve, as true musicians and artists. Enthusiastically Recommended.